A few open tabs that I think may interest librarian.net readers. Ask MetaFilter: Proposing to a book lover. Ideas? 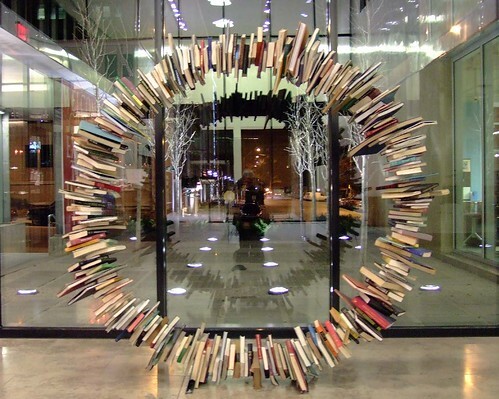 About 5 years ago a friend of mine curated a show about books, and this photo reminded me of one of the pieces, an archway of books. I remember thinking, at the time, that it would be a lovely “arbor” under which to be married.